A walking foot, also known as an "even feed" foot, has feed dogs that push the top of the fabric thru the machine along with the bottom, thereby feeding the two together evenly. Better and more consistent fabric movement makes for a better and more consistent stitch. 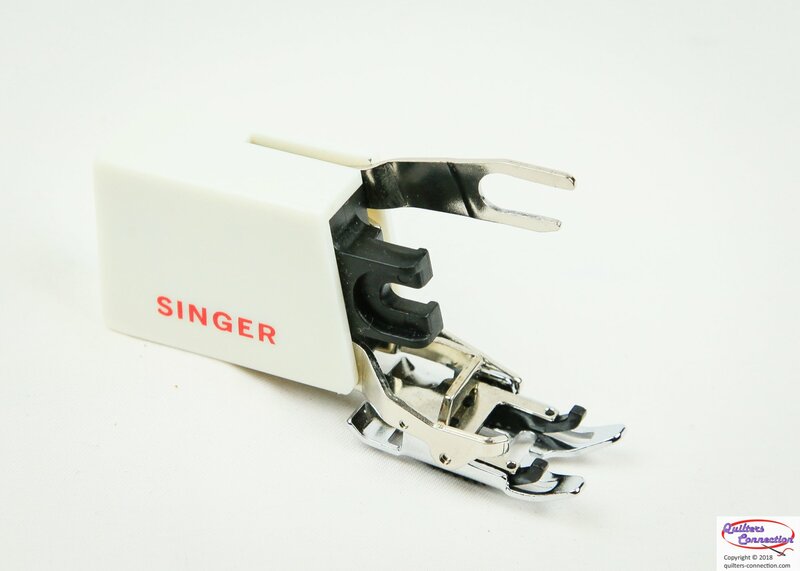 The Singer 301 is slightly different from the other later slant needle machines such as the 400 and 500 series, and not all walking feet sold for slant shank machines will work on a 301. We set up and fit each of these walking feet to actual 301 machines to make certain they work correctly. We guarantee the function on all 301 Singers.